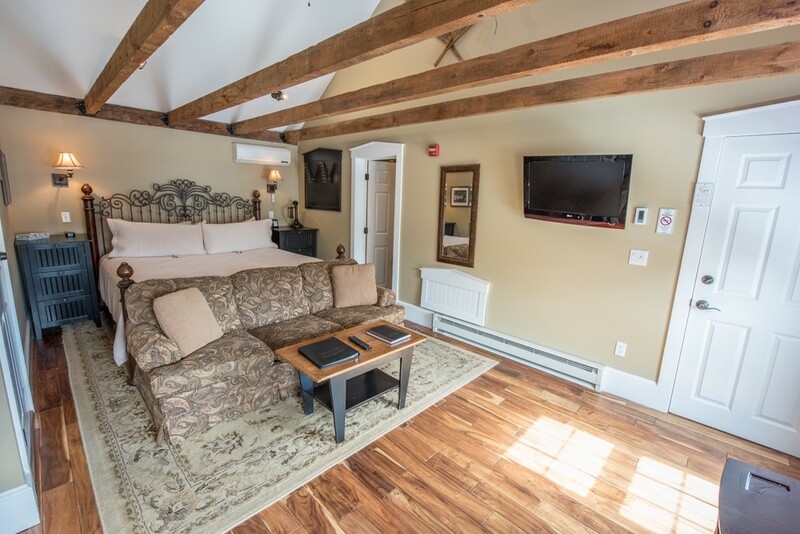 House Suite 3 is located in the front of the Inn on the second floor with inside access. 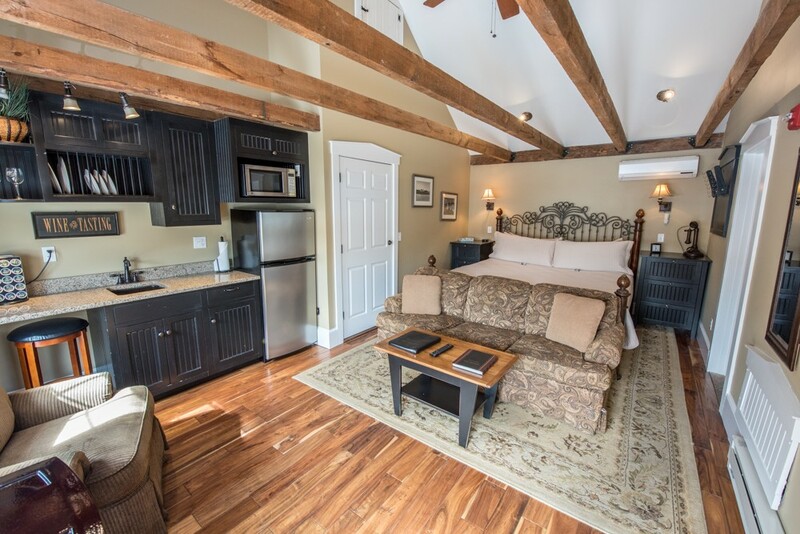 This room is all cathedral including the bathroom, exposed and restored beams give this suite a nice open feel. This room is one of the few with a pullout sofa to accommodate extra adults at $50 per person per night. 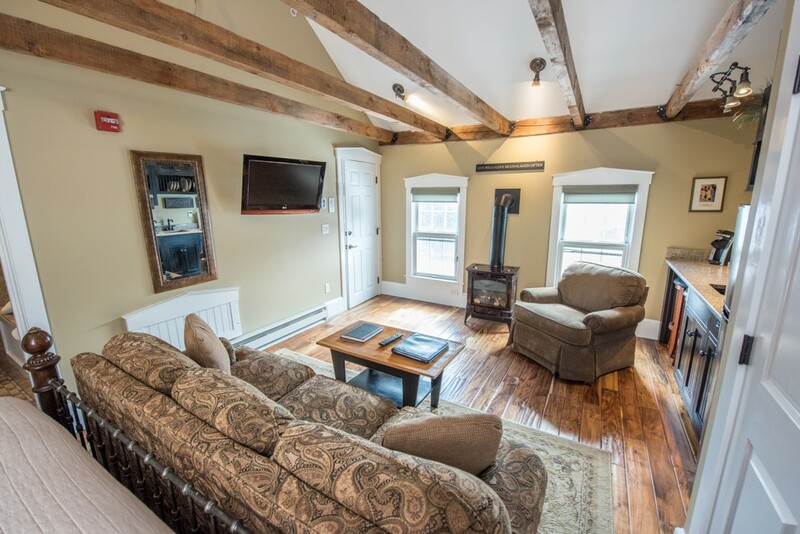 Stairs to this room are restored from the 1847 farmhouse and therefore this room should not be chosen if stairs are an issue. 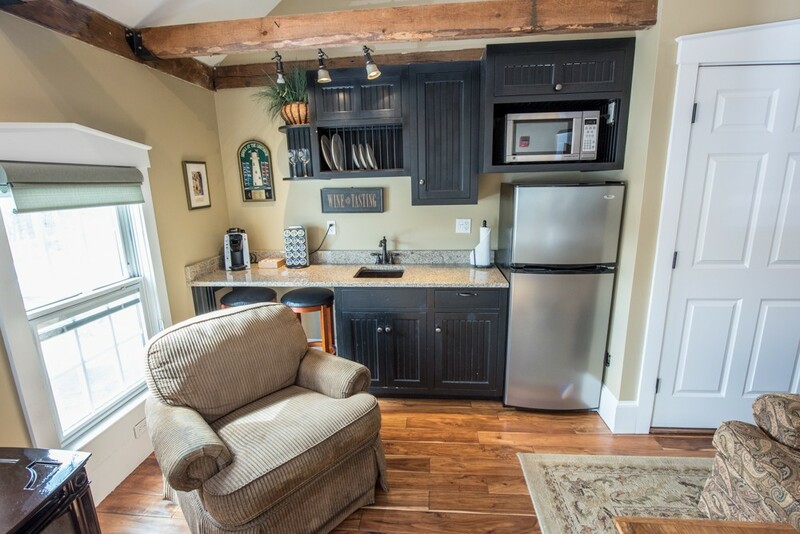 Our largest kitchenette, with fridge/freezer, microwave, sink, granite counter top & bar. Large bathroom with a 2 person, 2 headrest,100 gallon hydrotherapy hot air tub for two. Separately controlled heated tile floors in the bathroom. Walk in steam room, with rain shower, and 4 body jets. 15 foot cathedral ceilings with barn decor.